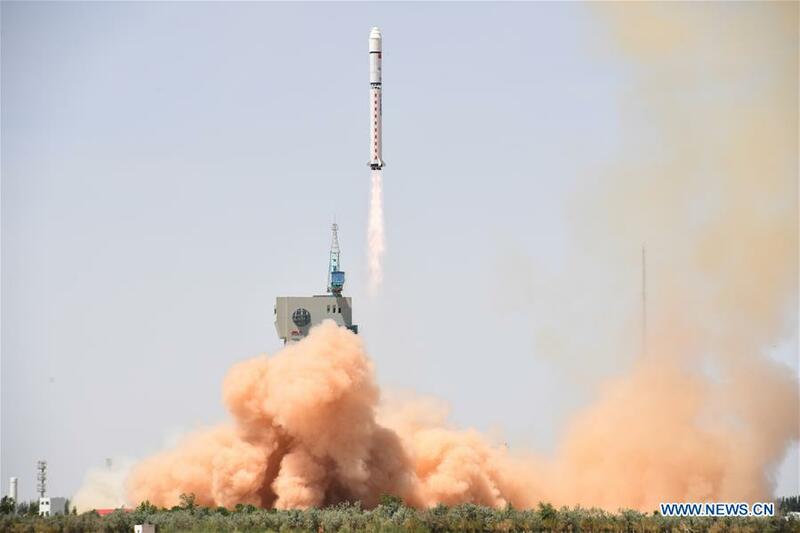 China on Saturday launched a new Earth observation satellite, Gaofen-6, which will be mainly used in agricultural resources research and disaster monitoring. The Gaofen-6 was launched on a Long March-2D rocket at 12:13 p.m. Beijing Time from the Jiuquan Satellite Launch Center in northwest China. A scientific experiment satellite named Luojia-1 was sent into space at the same time. It was the 276th mission of the Long March rocket series. Weighing 1,064 kg and with a designed life of eight years, Gaofen-6 has a similar function to that of Gaofen-1 satellite, but with better cameras and its high-resolution images can cover a large area of the Earth, according to the State Administration of Science, Technology and Industry for National Defence. Gaofen-6 can observe chlorophyll and other nutritional content of crops, and help to estimate yields of crops such as corn, rice, soybeans, cotton and peanuts, said Tong Xudong, chief engineer of the Gaofen series satellites. Its data will also be applied in monitoring agricultural disasters such as droughts and floods, evaluation of agricultural projects and surveying of forest and wetland resources, said Tong. Developed by China Aerospace Science and Technology Corporation, it will form a constellation with other Gaofen satellites in orbit. Since the Gaofen project began in 2010, China has had an increasingly clearer view of the planet. Launched in April 2013, Gaofen-1 can cover the globe in just four days. Gaofen-2, sent into space in August 2014, is accurate to 0.8 meters in full color and can collect multispectral images of objects greater than 3.2 meters in length. Gaofen-4, launched in late 2015, is China's first geosynchronous orbit high-definition optical imaging satellite. Gaofen-3, launched in August 2016, is China's first synthetic aperture radar-imaging satellite. Gaofen-5, launched in May 2018, has the highest spectral resolution of China's remote sensing satellites. The project has helped reduce China's dependence on foreign remote sensing satellite data.